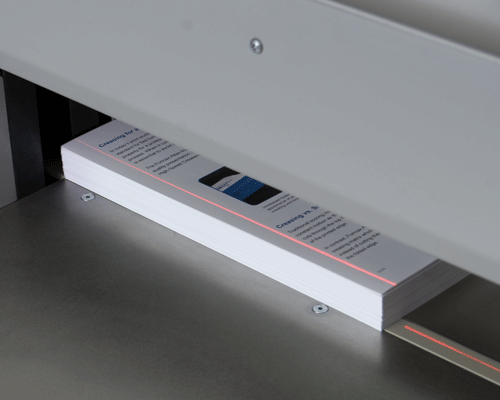 Cutting accuracy is 0.1mm on paper stacks up to 80mm. The Cut-True 29A also features a special anti-friction surface with optional wide side tables, making it easier for operators to maneuver large paper stock. A false clamp is included to minimize the risk of marking sensitive paper stock or perfect bound books. In addition, the clamp can be removed to decrease the minimum cut length, and is easily stored within the machine.